Japanese to English Stereo and dashboard display conversion­s, stereo unlocks and more. 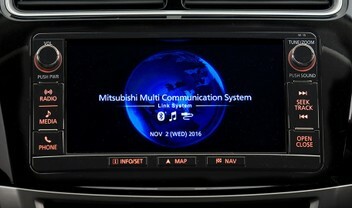 Navi-Solutions develops software to convert Japanese stereos and dashboard displays to English. Our conversions are carried out via a CD or SD card which we can send via an overnight courier or with our video instructions, you can create your own with our download links. - Mitsubishi MMCS (Mitsubishi Multi Communication System) Japanese to English CD - HDD removal not required. - Mitsubishi PHEV/Hybrid Outlander, Pajero, Delica English SD card. - Nissan Leaf NO SD card solution. - Nissan Leaf Japanese to English conversions. For wholesale customers we can add in custom boot logos displaying your company logo for all conversions - This is excellent for ongoing advertising. We have a dedicated R&D team creating new solutions. If there is a product you would like to see, please let us know. Brilliant provider - extremely quick and helpful. Highly recommended.